There’s nothing better than diving into cool water on a sunny day and gazing up at bright blue skies above you. We might not have the tropical seas of the Mediterranean, but once you’ve braced yourself, counted down, and dived in, Brighton’s outdoor swimming spots are a tranquil oasis on a summer’s day. Take the plunge this summer, with our guide to the most serene spots for outdoor swimming in Brighton and beyond! Just a short stroll from the train station, through the quaint cobbled streets of Lewes, is the oldest freshwater lido in the UK. Originally constructed in 1860, the pool has delighted generations of swimmers for over 150 years. The pool has been splashed in by Victorian bathers, used for sea evacuation practice by WWII soldiers, and rescued from demolition by a huge community campaign in the 90s. Its original features and status as a community hub have stood the test of time. 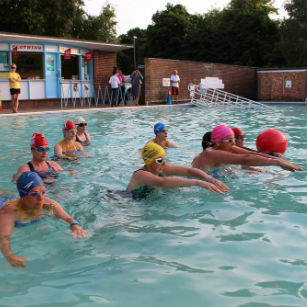 The large 46×23 metre pool is big enough for serious swimming practice, or a game of beach ball at the shallow end. The striking 1950s art deco architecture of the cafe and ticket kiosk has bucketfuls of kitsch charm and sells tea, ice cream and snacks at very reasonable prices. There’s a large lawn next to the pool and spacious steps with plenty of room to sit out and soak up the sun. If you ignore the odd iphone, you could be mistaken for thinking you had stepped back in time into a picture postcard scene from the 50s: children playing, sunbathers lounging, the odd beach ball flying overhead. Pack your best swimming attire, and get ready for a day of stylish old-school bathing. 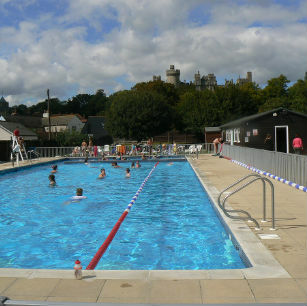 Arundel Lido was originally opened in the swinging 60s, with people travelling from the surrounding towns to see and be seen lounging by the pool. 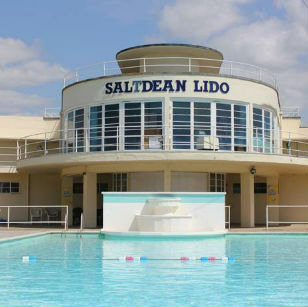 Reopened in 2002 due to popular demand, it is now the only remaining lido in West Sussex. The 25 metre main pool and children’s pool are both heated – great news for outdoor swimmers who aren’t brave enough to brace the icy Atlantic! As well as the pools, there is a landscaped garden for sunning yourself in with picnic tables, loungers and parasols. Refuel at the cafe or grab something from the barbeque to eat al fresco. The lido is in the beautiful South Downs National Park, so you could incorporate your swim into a day of walking in the amazing local countryside, or visiting Arundel (if a castle isn’t enough for you, they also have an amazing gothic cathedral and lots of delightfully British tearooms). Yes, we know it’s not open yet, but that’s not going to stop us getting excited! 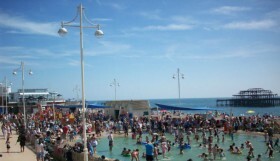 Saltdean Lido was designed by renowned architect Richard Jones and opened to the public in 1938. The innovative art deco building has a pool which can accommodate 500 swimmers and a tea terrace, sun deck and cafe which lie on top of the flat roof. Described as looking like a ‘stately ocean liner’ due to its impressive curved shape, Building magazine called it ‘one of the really first-class designs of its type in the country’. It is also the only lido to have ever been featured in the Design Museum. After falling into disuse for many years, the glamorous building still stands and was awarded Grade II listing in 2011. 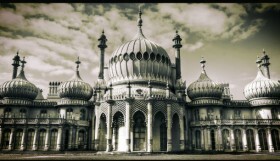 So: historic, unique, and within cycling distance of Brighton – ‘why is it not in use?’ I hear you cry! Lots of fellow Brighton residents felt the same and the Saltdean Lido Community Interest Company was set up in 2013, securing funding to reopen the pool. If everything goes to plan, the lido should be ready for a summer of open air swimming in 2016! 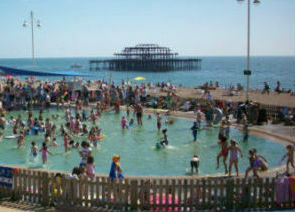 Wander along the seafront on a sunny day up to Hove Lagoon: perfect for soon-to-be strong swimmers. There is a large paddling pool for cooling off on a hot day, picnic tables, a grassy lawn, and a beach side cafe serving snacks. There is also a large water sports centre for bigger kids and adults who can try windsurfing, wakeboarding and sailing. 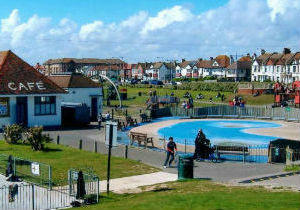 This large paddling pool, set back from the main beach, is perfect for families. There’s plenty of room to lounge around the pool, so you can have a picnic or grab an ice cream from the cafe. There are also large sandpits for those that want to show off their sandcastle building skills – no need to let the pebbles of Brighton beach get in your way! While The Triangle may not have the historic charm of some other local lidos, it more than makes up for it in fun facilities. 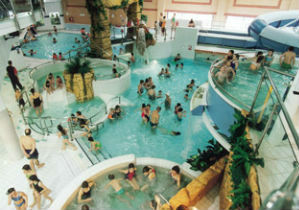 As well as a heated outdoor pool for summer swims, it has water slides, indoor and outdoor rapids, a waterfall, Jacuzzi and a shallow area for toddlers to splash in. Once you’ve worked up an appetite, head to the cafe. This is the place to be if you want an action-packed aquatic adventure! 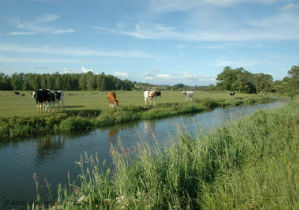 The River Ouse flows through the Sussex Downs and is surrounded by stunning countryside. 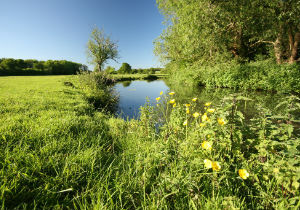 Head to Barcombe Mills, where there is a beautiful stretch of river, perfect for a dip. Bring a picnic, and sun yourself on the river bank, explore the local nature reserve, or head to The Anchor Inn, a rural riverside pub which dates back to 1790! 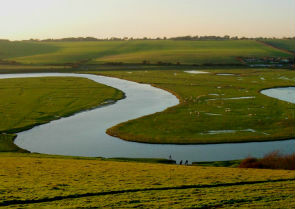 Cuckmere Meanders are set in the Seven Sisters Country Park, just down from the sea and at the foot of the chalky Seven Sisters cliffs which you can follow all the way to Eastbourne. The wide, shallow lakes are warm(ish) and are cut off from the main Cuckmere stream, making them non tidal and safe for swimming in certain places. The Seven Sisters are one of the natural wonders of Sussex, relax on the beach post-swim and enjoy the scenery, or clamber upwards and enjoy a Cliffside picnic as you watch the world go by. Coastal bus routes from Brighton drop you off right by the Meanders. The Eastern Bank of the River Rother, 200 yards from Cowdray Castle in Midhurst, is a popular spot for wild swimming. Despite lots of swimmers in-the-know coming to this spot on a sunny day, it is still relatively secluded and a perfect place to escape the hustle and bustle of a busy beach on a sunny day. Take a picnic and dry off on the grassy bank, or check out Cowdray Castle and head to a nearby cafe for coffee and cake. And, last but not least, we couldn’t have a guide to outdoor swimming without mentioning…the sea! 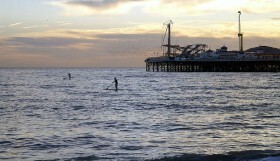 The Sea off Sussex is a Mecca for outdoor swimmers come rain or shine: from the fair-weather swimmers paddling in the sun, to the ballsy bathers taking the plunge on Christmas Day. 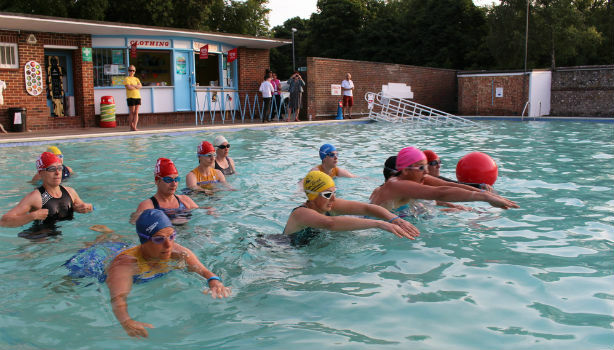 The Brighton Swimming Club, established in 1860, regularly holds sea swimming meets for its members, and there are other experienced groups that hold wild swimming events around Sussex. 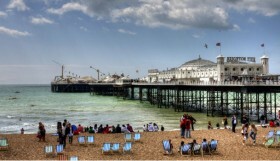 Stay central and enjoy the dramatic views of the crumbling West Pier, swim towards the Marina and let it all hang out at the nudist beach, or head out to the quieter beaches of Hove. Nothing beats being wrapped up in a towel with some steaming hot Fish and Chips after an invigorating swim in open sea!